ave’s Auto Center has been family owned & operated since 1990. We are a full service automotive repair shop & custom machine shop. We are the best equipped auto shop & machine shop in Utah! We specialize in engine repairs & overhauls, medium duty truck repair specialists & diesel repair specialists. 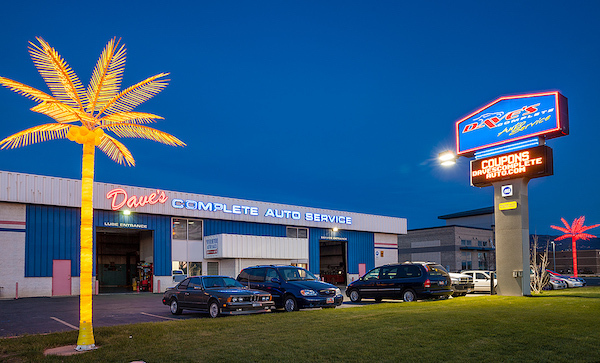 At Dave’s Auto Center you can always expect the highest standard auto repairs. Our well-trained ASE Master Certified technicians will ensure the safety and reliability of your vehicle. Our staff will always be on hand to help you with any concerns or questions you may have. We are your go to shop for all auto repair in Utah. Dave’s Auto Center pledges to exceed your expectations of quality customer service and satisfaction. We understand your time is precious and transportation is important and vital to each individual and family. We will do everything we can to ensure your automobile is safe and repaired quickly so you can get back on the road.